LICO Foundation 2017 - Automatic Systems, Inc.
Posted February 19th, 2018 by Martin Knowles & filed under In the News. 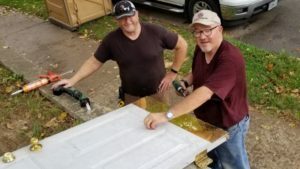 LICO Inc. established The LICO Foundation in September 2017 whose mission is to utilize the talents and resources of ASI, Lico Steel and OCS Intellitrak for the betterment of the communities in which the LICO family of companies operate: Kansas City, Southeast Michigan, and the Cincinnati area. The LICO Foundation’s stated goals are to encourage the giving of time, talent and treasure from our people to targeted charities and causes supported by our employees, increase the number of positive experiences for our people across departments and companies, and have fun together. 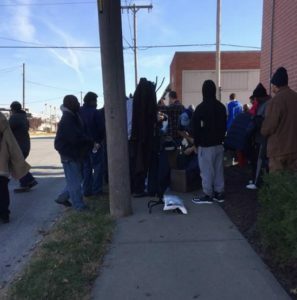 This year we had over 200 Coats donated to HelpKc, with 150+ of those being adult men’s. We ended with only 8 coats after four hours. 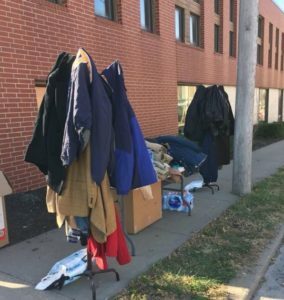 Many people in the homeless community were excited to get a free coat and were very thankful for the donations. There are so many people to thank for our success this year! 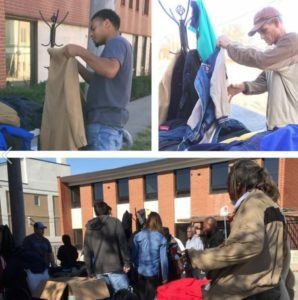 The National Honor Society at Lone Jack Junior and Senior High School, Elizabeth with Automatic Systems Inc, Liz and Terri with RE/MAX Heritage, the Johnson County, KS Sheriff’s Office, and many more went above and beyond to ensure homeless received coats this Winter. 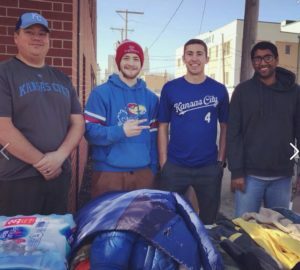 I just want to send a HUGE thank you to everyone else that helped out but was not listed. The LICO Foundation also teamed up with The Christmas In October Organization in 2017. 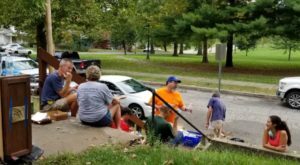 This organization is focused on rehabilitating the houses of low-income homeowners in the Kansas City area at no cost to the homeowners. 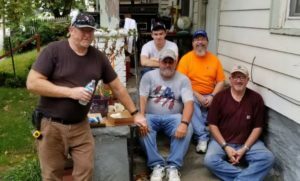 With your help, homes are made weather tight, exteriors are cleaned up, and your team becomes a major force in helping elderly, disabled and veteran homeowners remain in their homes. 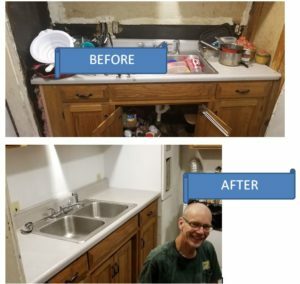 The team reworked the kitchen, repaired the front and back doors, installed cabinets, repaired the porch railing, installed a new furnace, repaired the bathroom cabinet hinges and installed new electrical box and fuses. Thank you to Jim Loftin, Gerry Breshears, Tim Kunard, Leslie Plumberg, Dave Mayer, Brian Phillips, Justin Phillips and Martin Knowles for their hard work! The homeowner was beyond grateful! For more information on this organization please see the following website addresses.